Weekend Reading: Four of Staffs from the Tarot of the Sevenfold Mystery in the Advice position from the Deck of 1000 Spreads. 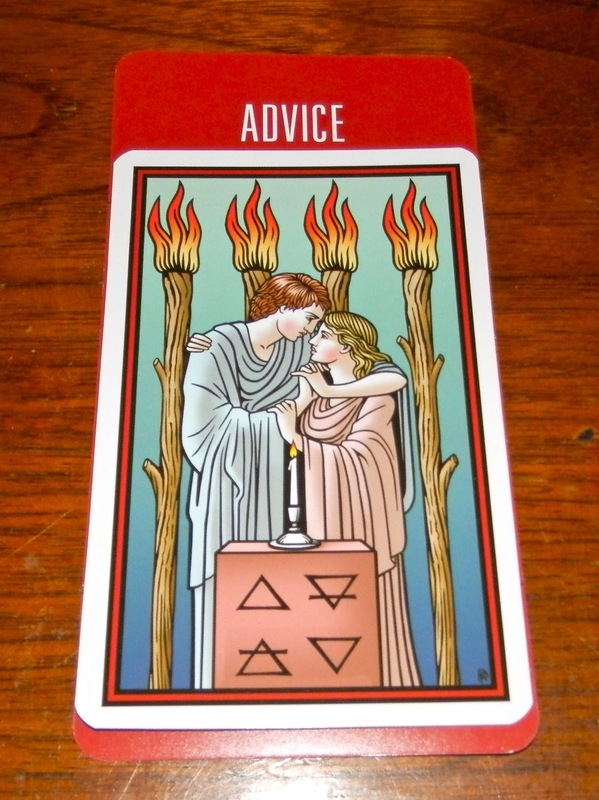 The Four of Staffs is known as the marriage card, but it could symbolize any commitment, especially a commitment to a creative or passionate endeavor. So if you haven't committed to something you probably should, this is the weekend to do that. And if you're already committed to something, honor that commitment, whether it's proposing marriage or just meeting a friend for breakfast. 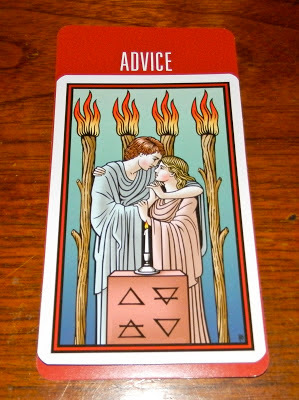 ;) The tarot is advising us all to make our promises and keep them. Tough card for me, as I'm having serious doubts about my marriage (after 6.5 years of marriage and 22 years of cohabitation). Sounds like there's a story there, Linda. That's a long time to be together with a relatively short time to be married. :) Blessings to you as you sort this out.